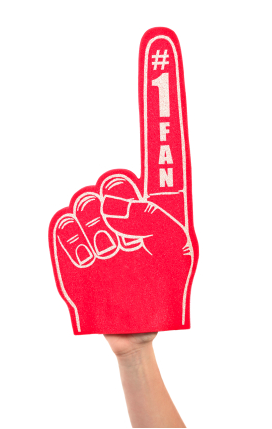 As social media continues to win respect and legitimacy in the hearts and minds of executives across the world and more companies than ever are looking to open up a Facebook page to take their brand “social” -a question that is repeatedly asked by brands is: What is the value of a fan? (or a “liker” in today’s terms). This question is often asked by two very opposing camps. For those against social media, there is an inherent derogatory tone and a cynical smirk they like to use when they ask this question, however when discussing old media outlets, they never raise this question. Allow me to explain: When a prospective client wants an indication of the value of a commercial time slot on a given network, the network will generally provide him with viewership stats, meaning, on average, how many viewers of a prized demographic can the client expect to reach during their 30 seconds of air time. These statistics are gathered and measured against market demand, and translated into a monetary figure. Major Television events, like the U.S. Super Bowl, can reap more than 1 million dollars for a few seconds of airtime. When you take that criteria and transfer it to Facebook, it’s quickly recognized that demographics and numbers are already a feature which the client gets automatically as soon as he begins his social media path . The demographics are super targeted as members have to opt-in to become “likers” and the numbers are plainly visible for all to see. Yet for some reason, because these “viewers” (to borrow a term from television) are not viewing the commercial (post) during an actual television program, their value is presumed by social media naysayers to be less significant. If anything, the interactive nature of Facebook fans should make them more valuable, not less so. For old advertising to assume that stats and demographics are not enough information to warrant a value estimate for social media, is a clear double standard and downright hypocrisy. “That’s right!” champions of social media will chime in, “Facebook fans far outweigh the value of any television viewer”, and thus you see such value estimates floating around the blogosphere ranging from $3.60 to $136 for the average Facebook “fan”. The first value is based on a calculation put forth by Vitrue which takes the number of fans and multiplies them by a presumed average of 2 Facebook posts per day. You then take the resulting number of impressions and divide it by an estimated CPM model, meaning Cost per Measure – or 1000 impressions. Vitrue performed their calculation based on a fan page of 1 Million members with a very conservative $5 CPM value to come up with $3.60/ fan. I decided to see how Blonde 2.0’s (my personal company) fans’ value would measure up. Taking our own fan base of 4,270 members X (2X30) = 256,200 impressions per month /1000 X $11 (the average CPM value according to ClickZ) = $23.24 X 12 months = $279 /4,270 = $0.065 representing Blonde 2.0’s average fan value per year based on this formula. I can tell you, being intimately familiar with Blonde’s fan value, that this figure is not anywhere near the vicinity of being accurate. Our fans are our greatest ambassadors and much of our business is generated though their word of mouth. Now how do you measure WOM? Vitrue’s model falls short in accurately predicting fan value for many companies and this makes sense given that CPM models are generally used to price traditional media ads which represent only a monologue selling a specific product and are not customized to measuring the overall value of social media. Facebook “impressions” are a completely different kind of media where more often than not, the post should be as divorced as possible from trying to make a sale and are more about creating dialogue, brand awareness and positive social conversation which indirectly leads to higher sales. Then there is the second value model based on a report compiled by Syncapse. They are the ones who came up with the $136.36 figure stated earlier. To get this figure, Syncapse canvassed 4,000 fans from 20 major brand pages on Facebook to find out why they were fans in the first place and how they would describe their purchasing behavior. They used the accumulated data to estimate the fore stated value. The problem with this study is that individuals are notorious for inaccurate self depictions. Compound that little snag with the fact that much of advertising and branding is subliminal in nature, leaving the brunt of its effects to go unnoticed by the viewer, and what you have in the end is a very tenuous figure at best. So, if these figures do not represent the true value of a fan, what does? The problem with answering this question is that it assumes there is some sort of generic value that every “fan” has. The truth is, there are different types and qualities of fans. There are diehard fans who are dedicated to the brand and would do all they can to promote it and there are passive fans who basically just like to be updated on what your brand is up to – and everything else in between, making a generic figure next to impossible to conjure up at this point. Nontheless, it should be noted that all Facebook “likers” of your brand are more valuable than TV viewers or any other old media audience because they themselves opted to be your fans and part of your community whereas in other media channels they were “forced” to view your brand’s messaging because they fit the criteria of your target audience. Another important point to emphasize is that the kind and quality of likers that your page attracts is, in large part, within your sphere of influence and control. Through expert social profile management, careful cultivation of budding fans, well timed campaigns and well placed media – likers can be converted from passive viewers to your most active cheerleaders in a few short months. The operative word here is “expert”. Many companies are hearing all this buzz about social media, and fall under the impression that the mere act of opening up a Facebook page will bring in adoring fans like Kevin Costner’s Field of Dreams. The truth is, it is far more complicated than that, and takes acquired finesse that only develops with time, experience and expertise. The value of a Facebook fan is more than just a number. It is equal to the same value you would place on someone who has agreed to become a part of your brand’s daily on-going activity for the long term and even promote it to his friends and family on occasion. The value of a Facebook fan is the same value you would place on someone who actually cared enough to show you he likes you or your actions. The value of a Facebook fan cannot be measured using the same measurement system as old traditional media. It calls for a new form of measurement which takes into account a whole new set parameters including the “liker’s” level of engagement with the brand, duration of being a “liker” and more. The value of a fan in my mind, well, is priceless.